In the Davis Cup Final in Lille French number one Jo-Wilfried Tsonga demolished Belgian Steve Darcis six three, six two, six one in the singles. 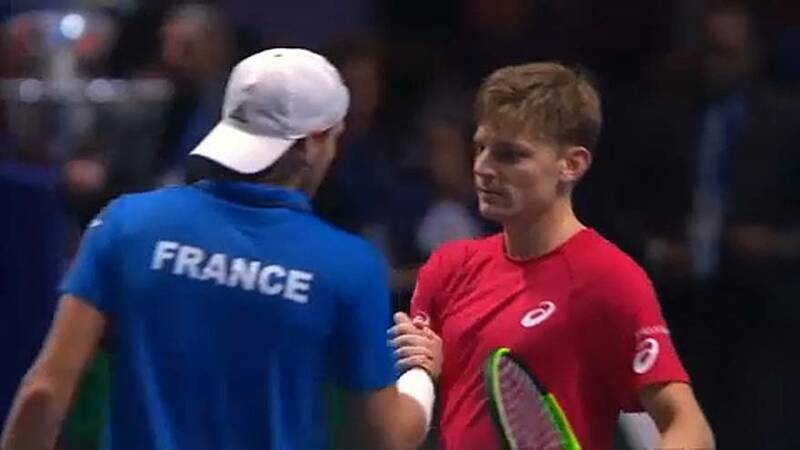 Earlier Belgian David Goffin easily outranked France’s Lucas Pouille seven five, six three, six one. Afer the first day of play then, Belgium and France are equal. Belgium has never one the tournament whilst France has won nine times, the last time in 2001.